It’s a concept that’s long been in need of a common word… and lately I’ve been hearing this word for it more and more. Audiation means hearing music internally, in your “mind’s ear”—when the physical sound of it isn’t present. Got an earworm? That’s a case of runaway audiation. Hearing the music you’re about to play before you play it—or audiating it (that’s the verb)—is an essential skill for any musician who wants to play with emotion and expression. And it’s absolutely central to improvisation and composition. Audiation is the work of the metaphorical “ear” in the expression “playing by ear.” And it’s a skill that, as musicians, we can—and must—develop. I must have said to students thousands of times things like, “Ok, now silently imagine what it’s going to sound like to play that E,” instead of just saying, “now audiate the E.” And I know I’m not alone. 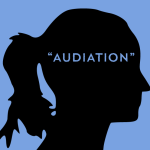 “Audiation” may not get many votes in the elegant word contest, but it sure will save music teachers & students a lot of time. I have been using the word “auralize” instead of “audiate” since it specifically refers to the ear and hearing rather than sound alone. I would be happy to use either term. (1) Most players of chord-capable instruments start out with the goal of playing chords to accompany themselves or others when singing. Learning to play by ear on a single-pitch instrument (one pitch played at a time – like the saxaphone) is difficult enough so playing chords by ear is just not even attempted. The crutch and trap of visualizing the instrument is used right from the beginning and auralizing becomes a skill that is poorly developed. (2) With the guitar specifically there are multiple ways to play any set of notes. Many many ways in fact. Learning to map sound to finger placement is very difficult because of this. Furthermore given a present position of ones hands and fingers on the fretboard getting to the next pitch that you auralize could be physically difficult or practically impossible. This is why I think that guitar and chord-playing instruments should not be first instruments for budding jazz players. These instruments lead us down a path that ultimately does not lead to where a player will eventually want to be. All of this became very clear to me when I switched from guitar to chromatic harmonica after developing problems with my left hand. I use a pitch layout of the chromatic harmonic for which there is only one way to play each pitch (check out the standard pitch layout for the chromatic harmonica for a laugh). This has allowed me to develop a strong connection and automatic connection between hearing and playing. And although I am still developing that tight connection what I presently spend most of my practice time doing is auralizing sounds that I think are cool to which I want to have immediate access. I would also like to add that if there is a Bay Area musician out there that is and expert at the auralization processs I would really like to take some lessons from him/her. So any suggestion are welcome! Interesting point you make, Daniel – thanks! I’m not sure that the answer is to initially avoid chordal instruments as much as to be aware of the potential pitfall of “coloring by numbers” on any instrument. That is, moving your fingers to make music without connecting to (and audiating) the sounds you’re making. It could be that the trap is more tempting on a chordal instrument, or on one where there are many fingerings corresponding to each note. I’m not sure. But if that’s so, I think the solution would be to devote time on those instruments to restricted practice – single note lines, and limited fingerings for each note – until a solid foundation is built. I happen to believe that audiation of chords is very important from pretty early on, and that horn players who don’t play a chordal instrument can be at a disadvantage in that regard. With chords, as with single-note lines, good pedagogy requires building a strong foundation of simple chords before moving on. The danger is becoming so enamoured early on of the complex sounds that your fingers can make… that your ears never catch up. But that’s avoidable. By the way, I personally like your word “auralization” better than “audiation!” Unfortunately it’s already got competition: acousticians use it to mean something different, so it might be a tough sell. How do acousticians use the term “auralization”? I also think that auralizing chords is very important. But the automatic playing of chord sounds that one hears seems to me to be a very difficult skill to develop. By automatic I mean without identifying the chord type before playing it. Here are a couple of examples of “auralization” in the world of acoustics: aes.org/e-lib/browse.cfm?elib=6976 and springer.com/us/book/9783540488293. As for the second part, I consider audiation (auralization) just hearing something that you’re thinking of, especially something that you’re about to play. That just comes from playing a lot and giving focused attention to what you’re playing. There are things you can do to speed up development, for sure, but it seems to me a skill hard to avoid acquiring if you’re really paying attention while you play. “Automatic playing of chord sounds that one hears” – that I consider a separate, more difficult skill. But I think it’s absolutely attainable. Put a musician at a keyboard or a guitar for five minutes a day, having someone play them over & over either C major or C minor, asking them to play it back. Within a few days they’ll be able to play back the right chord each time, as fast or faster than they could say “major” or “minor”. Throw dominant and diminished into the mix and repeat. Over time add different flavors of each (sus, altered, half-diminished, minor-major, etc.) After a few days, or weeks, or months… depending on age and ability… they’ve got them all. Developing the ear for chord movement takes more time, but it’s doable. It’s just that, honestly, how many musicians put in the time to do this stuff? When you listen to great musicians it’s clear that they have the ability. Keith Jarrett? Peter Bernstein? Brad Mehldau? Julian Lage? To watch and hear them play is to see them constantly, visibly engaged in it. Am I wrong? I think every decent jazz musician has the ability to one extent or another. Well there would be no confusion with the acoustician use of the word so my vote is still for auralization. Audiation, to me, implies a making of sound rather than an silent internal hearing. That reminds me. Do you know of a Bay Area musician that teaches and plays solely based on auralization/audiation? I consider audiation crucial to playing (and, hence, very important to teach) but I can’t say I teach or even play based on it alone. I’m not sure I know of anyone who does – sorry. Best wishes!